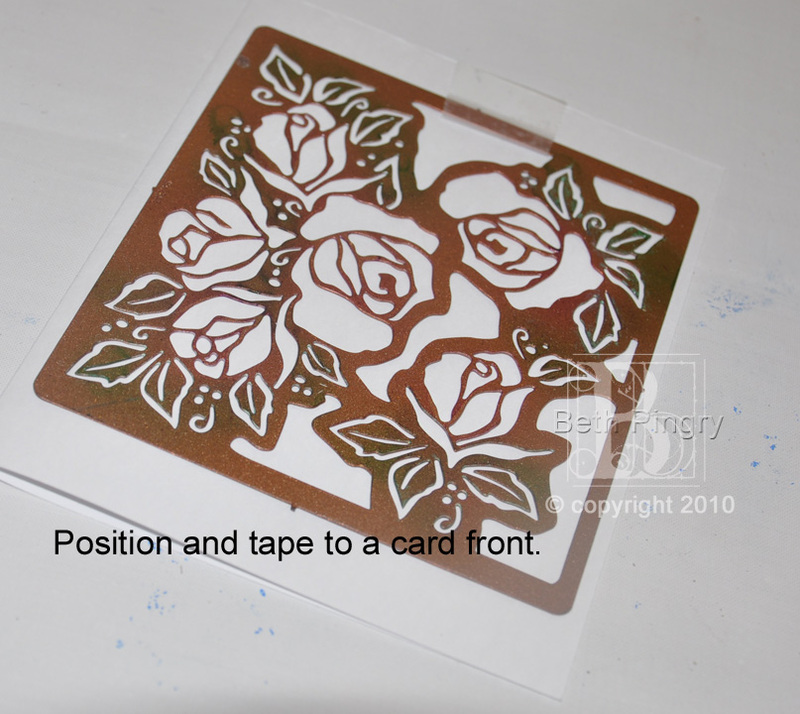 I had a question from a reader about the Spellbinders™ S4-044 Rose Blossoms die template. Spellbinders Edgeabilities® s are so versatile, they just look a little intimidating, so hopefully I can show how fun and useful these really are. First, die cut it. Doesn’t look like much, right? Now you see some definition! 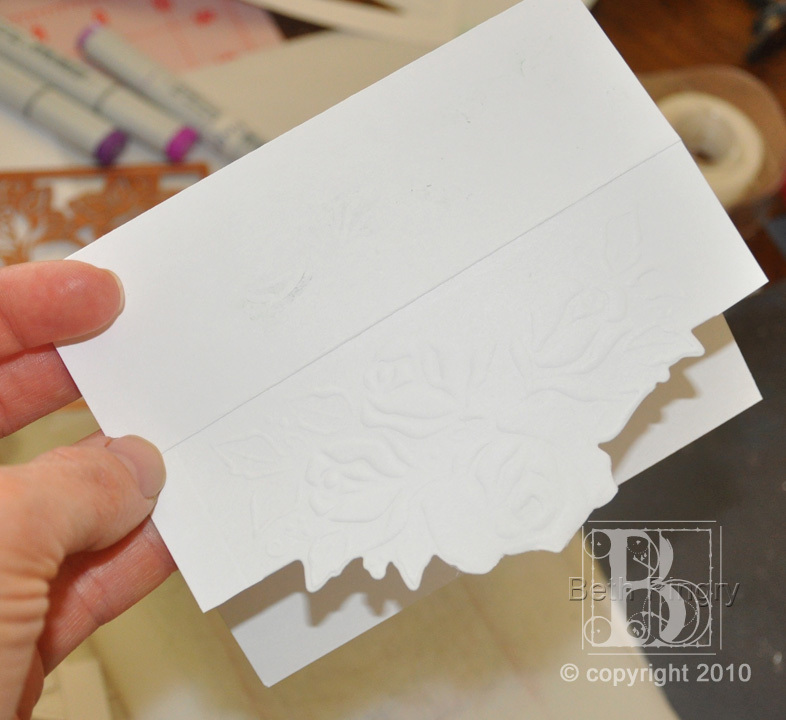 Flip it over and use the die as a stencil. I used my Copic Markers and ABS to airbrush the colors, but you can use chalk, ink, colored pencils, paint…whatever you like to use. 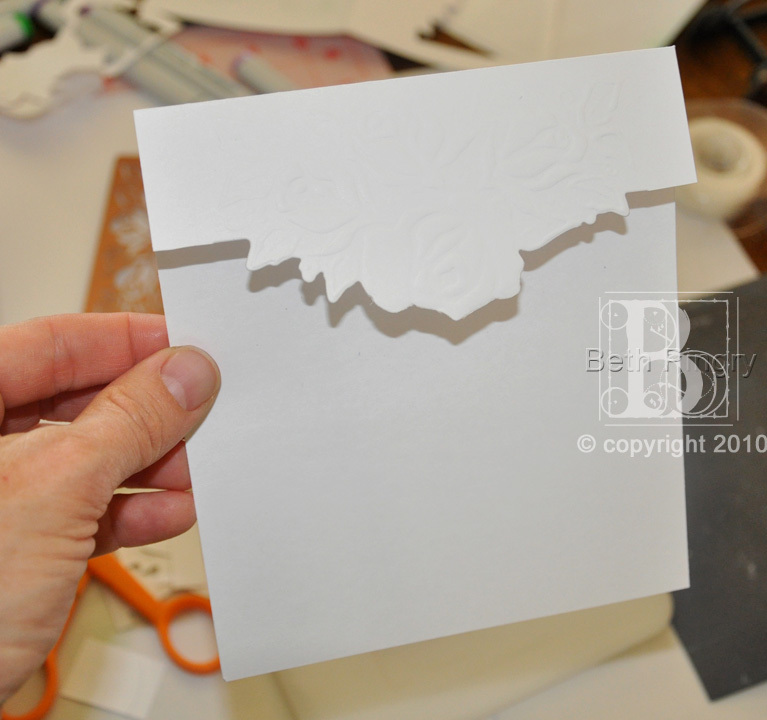 Next take the paper out of the die template. 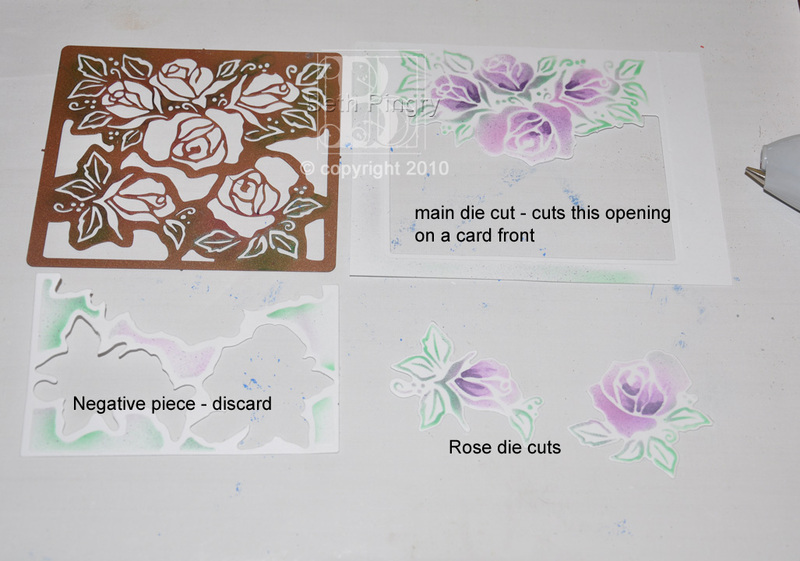 You have the die template , the main piece, and the 2 smaller roses to embellish and layer on the finished product. Just toss the negative piece. 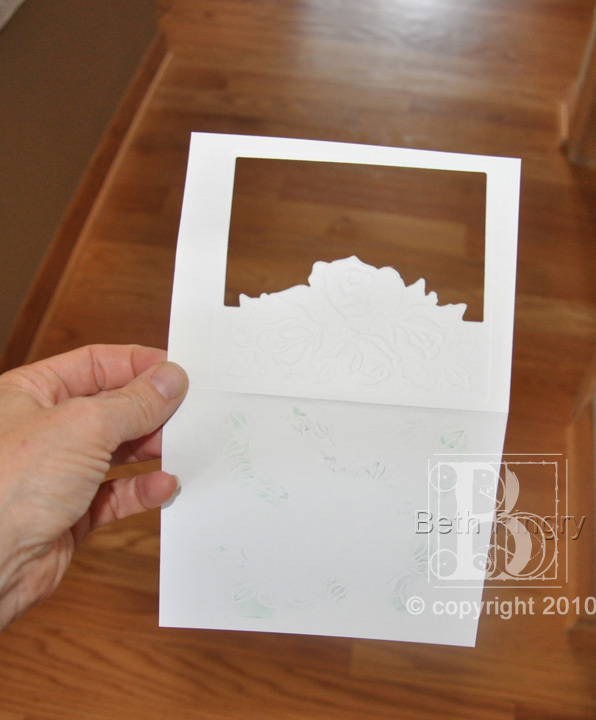 To make a card with this die, I used 8.5 x 5.5″ piece, folded. I used regular tape to hold the die template in place once I centered it onto the card front, with the cut edges facing the card front. 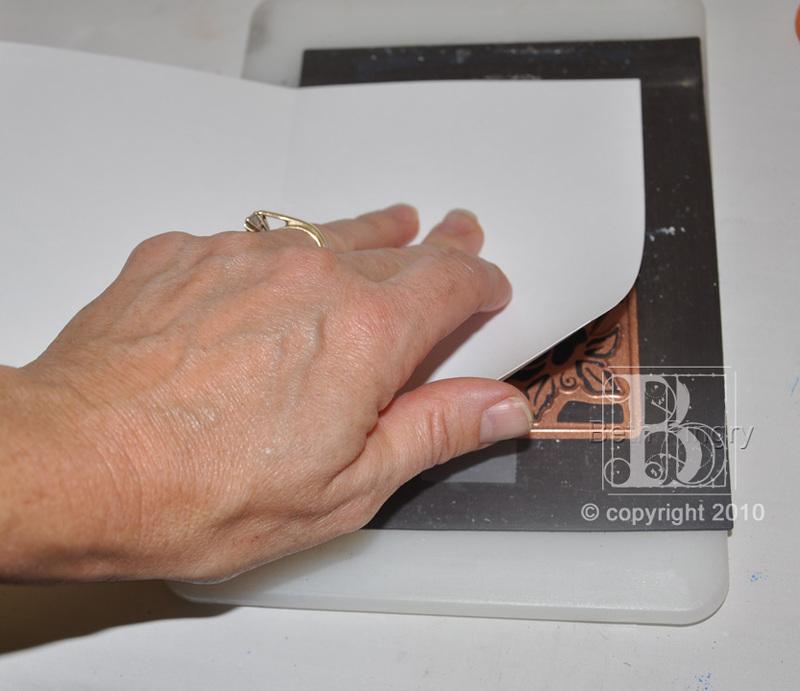 To cut this in my Wizard, I need the cut edges to cut into the white mat, but not into the back side of the card. 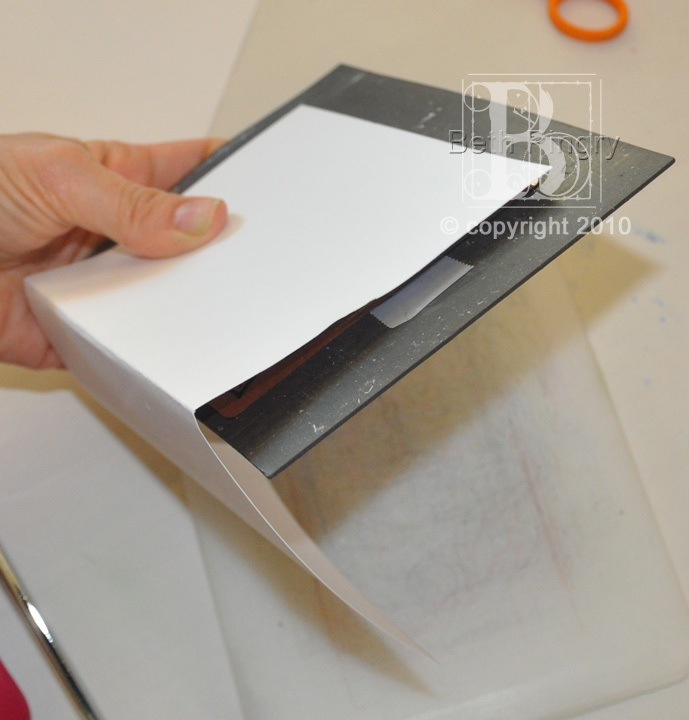 To do this, I place the die (taped to the card front) on the Magnetic Mat and fold the back of the card under the magnetic mat, then place the top mat on the sandwich and cut in the Wizard. Just make sure the main image is covered by the paper. 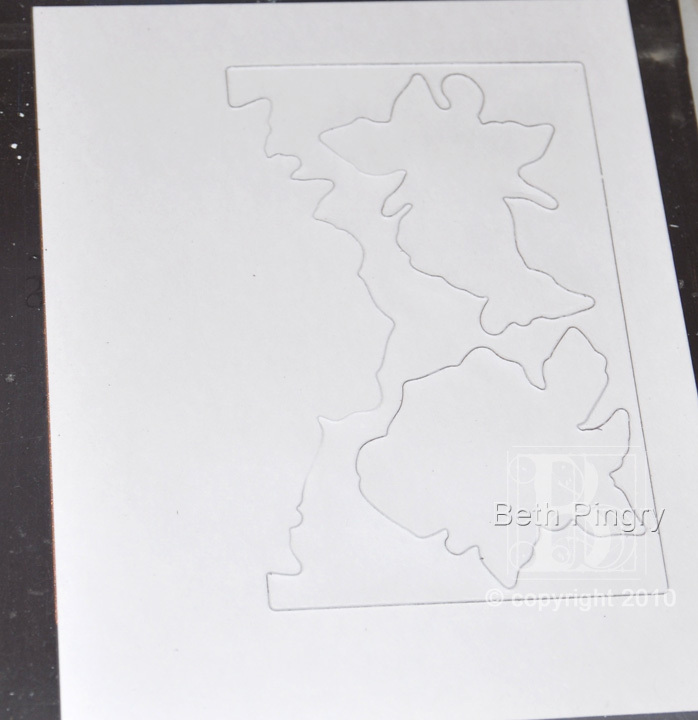 Cut/emboss in die cut machine. 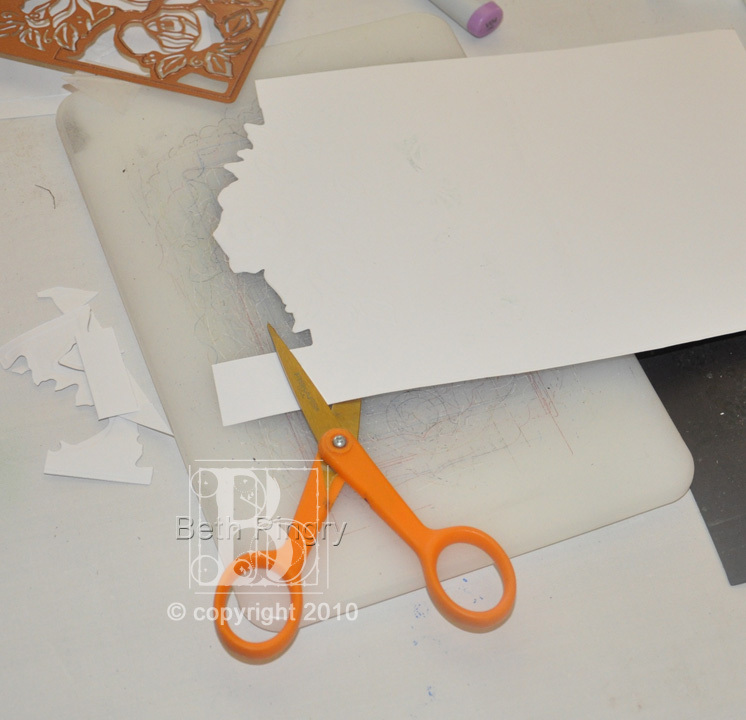 Use scissors to trim off excess on sides if needed. 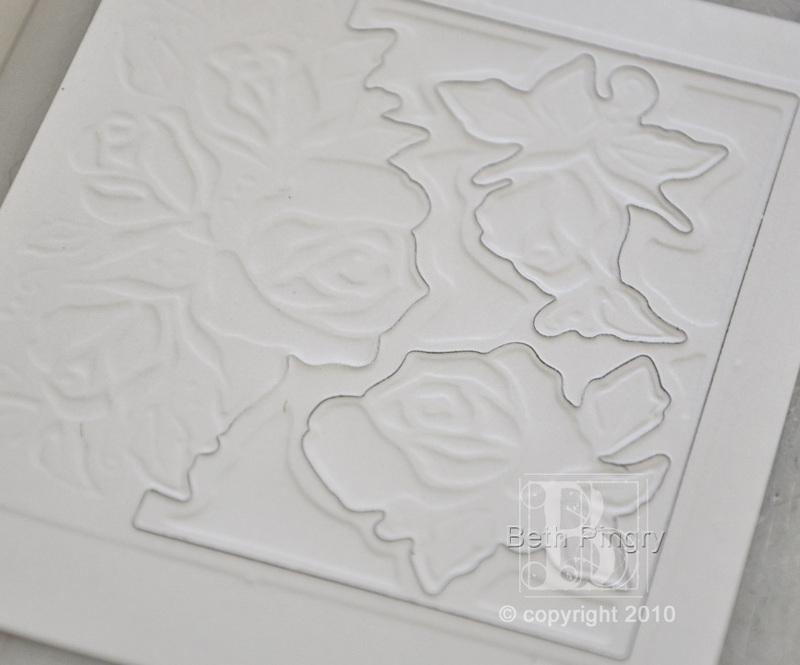 Holly Craft made a wedding ensemble using this Rose Blossom die tempate. 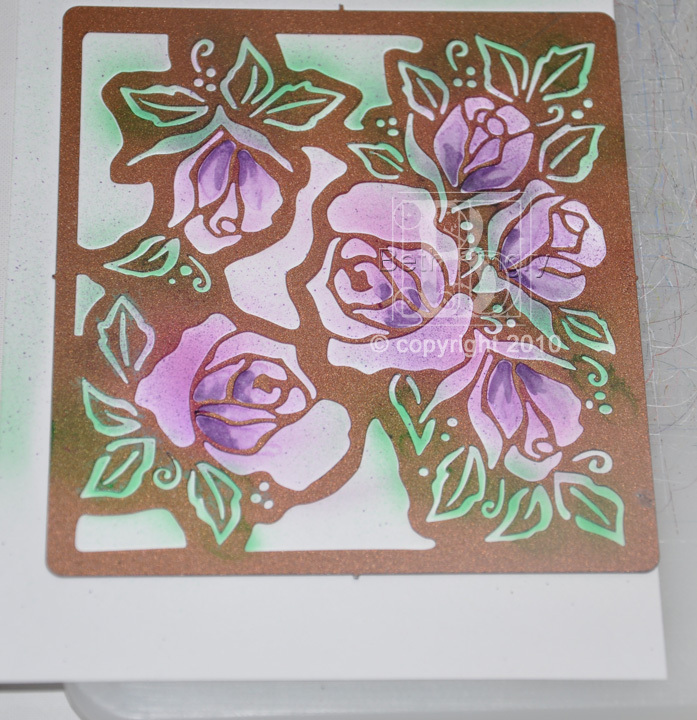 This entry was posted in Card, cards, Copic, Spellbinders and tagged Copic, Edgeabilities, Rose Blossom, Spellbinders. Bookmark the permalink. 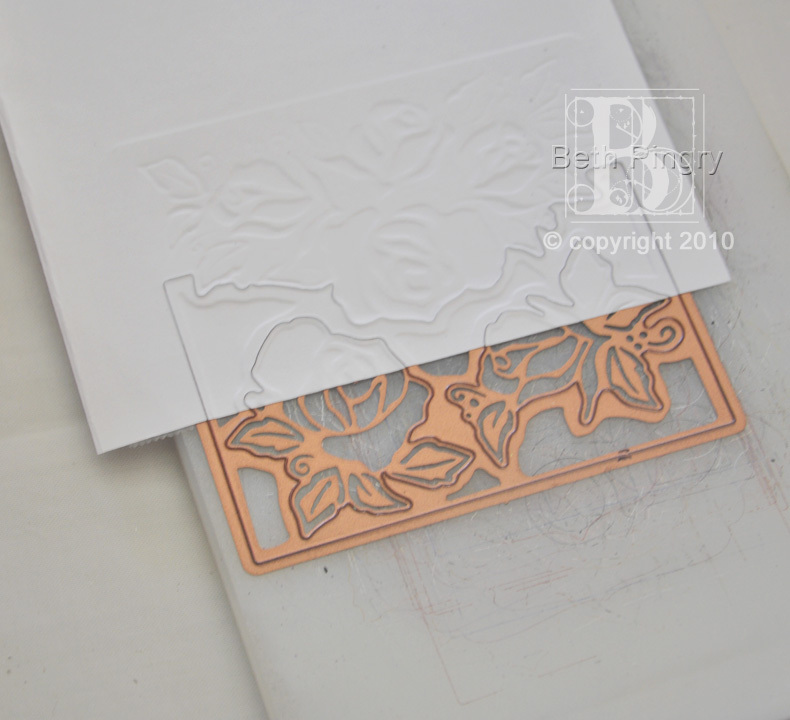 A great reminder of those FAB Edgeabilities die templates! Thanks for the demo, the card looks beautiful.